I SPENT TWO HOURS inside Google+ on my laptop today and after adding 100 people to various circles, I walked away to watch what happened on my mobile phone browser. It was like watching a context-aware mailing list on steroids. I'm enthused about Google Plus because I like threaded conversations more than I like throwaway 140-character tweets. I know I'm biased because I've easily understood how Jaiku worked and I'm probably one of a dozen people in Ireland who liked Friendfeed. It's really easy to dismiss G+ with the thought that "Google really doesn't get social." But this latest offering by Google is sweet on the desktop and very functional when viewed through a four-year-old Nokia web browser. If you're a regular reader of my blog, I'd like to add you to one of my circles during this field test. Drop me a comment on my post with your gmail address as your email address on the comment. And below the break, keyboard shortcuts from Matt Cutts. I SPENT AN HOUR with @eolai talking about his thirty-two county painting tour and the way that he plans to leverage social media during his ambitious cycling journey. I'm loaning him my O2 Mifi access point because it serves me well when uploading video, audio and still images. He's using a Sony Ericsson Xperia X8 to snap shots and to record Audioboo clips. All these pieces of media gain machine intelligence when uploaded and shared online. It should be possible to construct maps that show the Painting Tour as it runs around Ireland. The idea is straightforward: you pay for a painting and Liam stops to complete the commissioned work. He wants to reserve five hours each day for his art work and be on the bike to log up to 50 miles for each cycling segment. This is an ambitious undertaking, one I'll follow online by rreading, viewing and listening. Sent mail2blog using O2IRL Typepad service in Liffey Valley from my Nokia E7. ONE OF THE REASONS I have five Twitter accounts and subscriptions to three Twitter lists is because I think it's important to maintain a sense of serendipity online. Just the opposite happens if I depend on the view of the world that Facebook or Google serves up to me. Because I'm 101 years old on Facebook, I get a distinctly different flavour of information in my Newsfeeds and in the advertisements. Because Google knows where I am and what I've searched, I get information tailored to the expectations Google has for me. Behind the scenes, it's difficult knowing what kind of algorithm I really am in the minds of the big internet giants. That's a strong theme of Eli Pariser as he explains the filter bubble concept. The book comes recommended by Adrian Fielding, a creative multimedia student in the programme I teach for Limerick Institute of Technology. I like Eli Pariser's work and plan to put it on to the fall semester essential reading list for the module called "Emerging Trends and Technology". EVERY TIME I OPEN Amazon.com, I'm reminded of the phenomenal success of the third-generation Kindle. Amazon's front page declares it is the best-selling product in Amazon’s history, for many good reasons. Amazon CEO Jeff Bezos made a couple of statements about the new Kindle, emphasizing the product’s low price point as the key to its success and downplaying tablets as competition. “We’re seeing that many of the people who are buying Kindles also own an LCD tablet. Customers report using their LCD tablets for games, movies, and web browsing and their Kindles for reading sessions,” Bezos said. That would also be the story in our household where our three-year-old wants the iPad to colour, play instruments on Garage Band, or watch videos. In my anecdotal experience, I see more Kindles on trains and buses throughout Ireland than iPads. Although that might mean that iPads and other tablets haven’t hurt Kindle’s sales, it might also mean that people without cars can't afford iPads. I'll have to get a Kindle before the start of the next semester because I want to ensure our fourth year creative multimedia students at LIT-Clonmel can convert electronic text to ePub, manage an electronic bookshelf and share reflective comments learned through the use of e-ink. I also want to take a Kindle into Mikey Ryan's pub, exposing it to the glares of pub goers inside and the threat of diving crows outside in the beer garden. This rigourous ePub session will be even more mesmerising if it's complemented by Liam Noonan's Kindle comments at the table. Check back for the results of this compelling field test. Amazon's Kindle is available from fine online vendors worldwide. WE HAVE A 12 year old Sony radio sitting in the kitchen and it will easily last another 12 years without fail. But I already want to move up to internet radio because there's so much more content I need to absorb audibly. The Revo AXiS fits the bill. 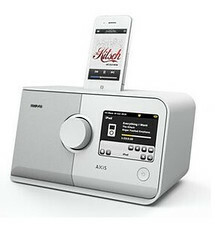 It's part of the next generation of connected digital radio devices that combine multi-format radio reception, iPod and iPhone docking, audio streaming from places like Audioboo and access to premium online music services such as Last.fm. The Revo AXiS can handle a full range of digital radio standards including DAB, DAB+ and internet radio as well as conventional FM radio with RDS. AXiS will also wirelessly stream digital music files from any connected PC or Apple Mac. I particularly like its 3.5" colour TFT display and its icon-driven touchscreen user interface. The tourchscreen enables quick and easy navigation around the radio's many advanced features. I'm putting this like number into my Wishlist, hoping some friend remembers it's my birthday next month and the month after next. THROUGH THE EYES of our week-old infant, I am beginning to map the worls we share as I record the sounds that pique his attention. Before his birth, Dylan heard these sounds. Now that he is out and breathing the air with these noises in the same space, he turns his head and fixes his gaze at their source. While I doubt that he can actually focus his gaze on the thing that he hears, he is alert enough to look in the direction of noises he knows from months inutero. And by seeing where he enjoys his deepest sleeps, we're learning where the truly quietest parts of the house are. 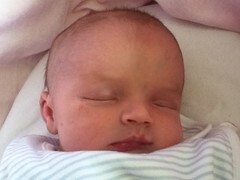 Surprisingly, he sleeps soundly when his Moses Basket is placed within three feet of an operating dishwasher. I'm going to embed that sample to this blog post later. Sent from my Nokia E7 using O2 EDGE Typepad service in Caiseal na Ri, County Tipperary, Ireland. AROUND EIGHT YEARS AGO, a lot of the cool kids on the blogging block were in a huff over pricing plans revealed by Movable Type, as a mass exodus from that platform got underway. I was lazy, so I stayed with the program and its templates. My self-hosted Movable Type blog (now defunct) became a Six Apart hosted Typepad blog. One of the first things I tried was to backdate a post. So I wrote some thoughts about transparency based on an opinion piece by William Gibson the New York Times. Gibson wrote the piece around the time he was starting on Neuromancer I was dusting off my paperback copy from the early 90s. 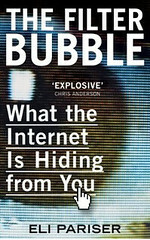 Gibson's viewpoint in the NYT, that it is difficult for anyone, anyone at all, to keep a secret in our connected society, rings twenty times louder in the decade of Wikileaks. Gibson's premise, that we are ultimately woeven into the middle of e-mail correspondence, boards postings and blog posts has gone up another level with the rise of Facebook, sophisticated web bugs, tracking systems on mobile phones and credit card profiling. The future knows us already. William Gibson -- "The Road to Oceania" published in the New York Times, June 25, 2003. Go ahead and read the article. See what kind of Google advertisements appear alongside and underneath the text. THERE IS A DIRECT CONFLICT between the amount of audio I consume and produce and the amount of e-mails I read and write. For the past three years, I've been slacking off in my e-mail duties and today, as I present at the Dublin e-learning summer school, I can see a compelling imperative to manage my e-mail services more efficiently. It will mean cutting back on some personal learning network audio production--my favourite app Audioboo--and using the newly available time to prune hundreds of incoming mails each week. I've got to unsubscribe to lists I joined in the 90s because I can no longer find the time to read the information spawned by those lists. And when I finish this summertime project, my phones will provide me more timely and accurate information updates. EVERNOTE CELEBRATES its fourth birthday today and I'm one of the millions of people who are paying for its service. I've been using the program since July 2008 and even though the Symbian version of Evernote is a weak sister of other operating systems, I can save ideas and things I like with my Nokia E7. I review my notes on other handsets. I can also send images (things like menu items, program notes, and anything my phone can snao and save) to Evernote using Document Scanner QT. I can record things you hear and things I see with my iPod Touch. I'm using the application to create things faster and more importantly, to create more quickly the most critical things related to each academic term. That means I carry around a set of exam papers in the cloud and I refer to the papers several times a week in my hand. Evernote syncs with every computer, phone and mobile device that I own. 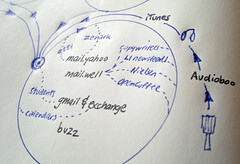 I can search by keyword, tag and often by printed and handwritten text inside images. 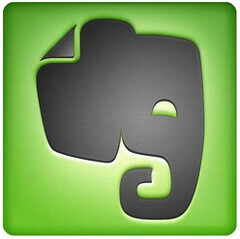 Evernote is one of those programs that can do more than it says on the tin. Its versatility and power make it a very clever tool.